From a single pull up banner to a large expo. 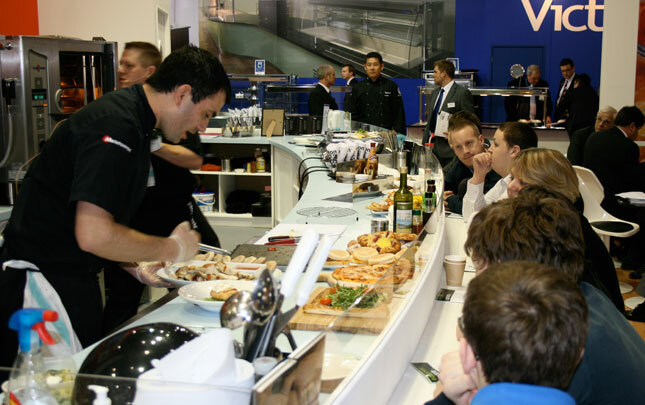 The Maltings Studios team can design and build an exhibition stand that will draw crowds and get you noticed. 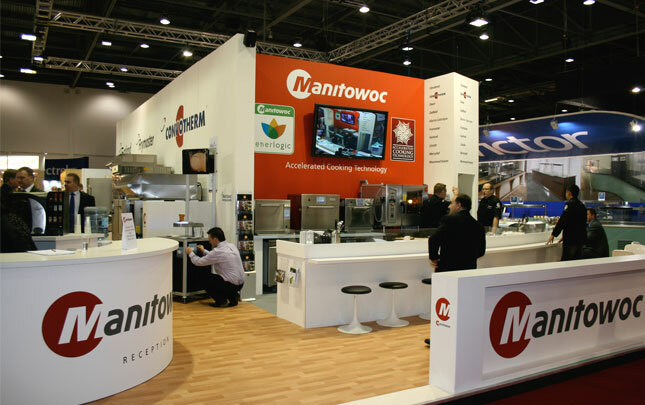 Manitowoc Foodservice UK is a leader in the manufacture and supply of commercial kitchen equipment. 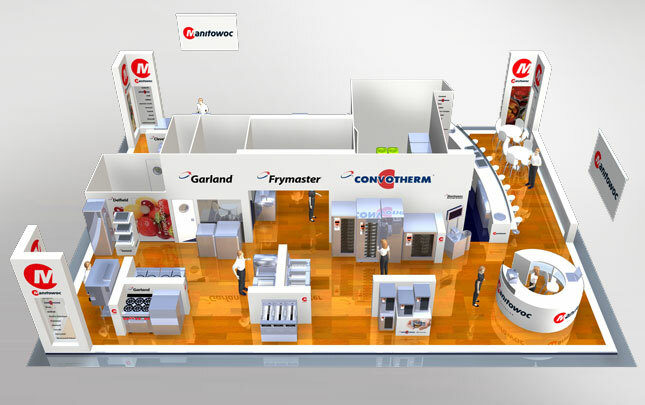 Each year they take part in various trade shows including Hotelympia and Hospitality. 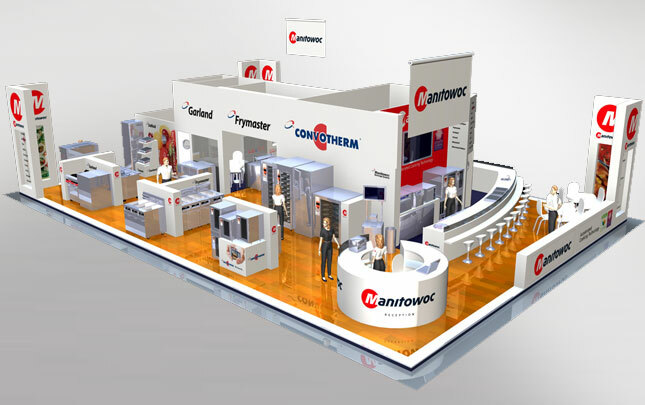 They came to us for a bespoke ‘space only’ exhibition design and build for their 250m2 Hotelympia stand. 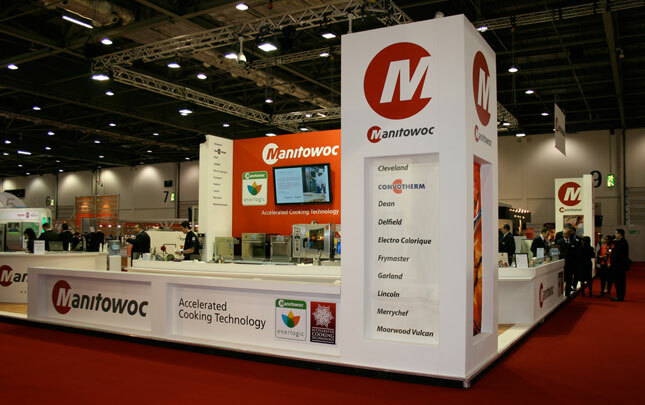 The stand needed to include all their brands, a cooking demonstration area and a live TV feed. Following meetings to establish the scope of the project, detailed floor plans were produced to define each branded area, these were then visualised into 3D renders, which allowed the client to see each area from every angle, Once approved, we project managed the whole process including ordering of all services, health and safety approvals, graphic design and production, transport, installation and breakdown at the end of the show. 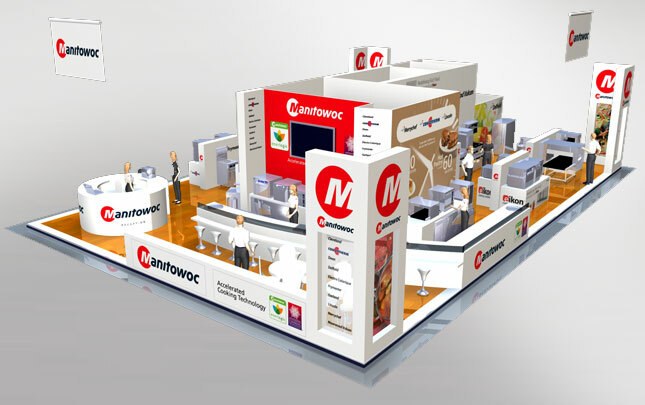 The stand was a real success which drew traffic and greatly increased brand awareness.